Condo Culture | Why not Hamilton? In last week’s blog, we discussed the momentum and excitement that is surrounding the KW condo market. With new developments and projects selling quickly, it is no surprise that investors and condo-owners alike are wanting to be part of the opportunities. This week, we take a look at another great city that is showing positive growth and opportunity for investment. Coined as “the ambitious city”, Hamilton is rich in history and culture and surrounded by spectacular nature. Unique for its distinctive urban feel and vibrant arts and culture, Hamilton also boasts deep roots and a proud history. Hamilton is ranked as Canada’s most diversified economy, and over the past five years has averaged over $1Billion in building permit values, making it one of the country’s strongest economic cities. The trend towards growth and rejuvenation is evident throughout the city of Hamilton. With the commencing of the Pier 8 Park Development, the continued steps forward for the LRT development and new Condo Projects popping up all throughout the downtown and surrounding neighbourhoods, it is no wonder why people are already curious and anxious to see what Hamilton will look like in the next 5 years. Modifications and redevelopment is evident all throughout the city and locals and investors alike are excited. Hamilton is a gem that combines both city and small town feels. 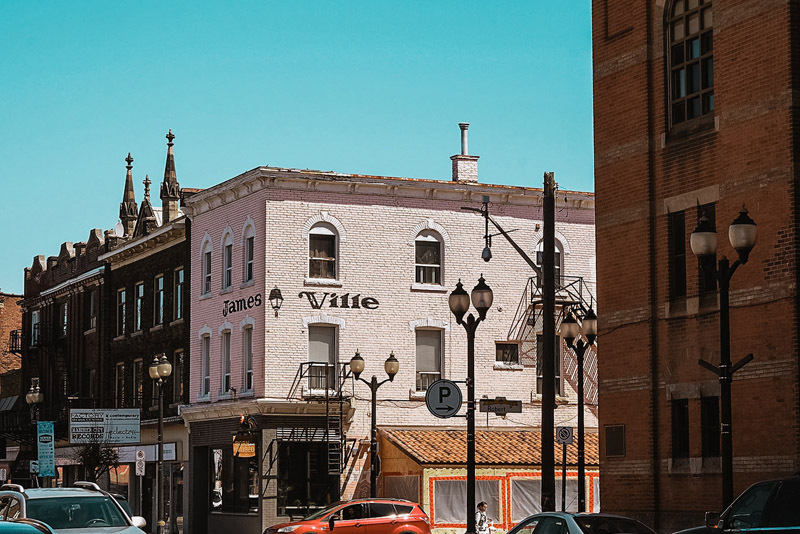 Currently, it is not uncommon to see Torontonians strolling down Locke Street on the weekends and taking in all the great restaurants and art shops that the neighbourhood has to offer. As this trend continues, it is likely that more people will be moving out of the big city of Toronto and into Hamilton, the city that is the best of both worlds. Here’s Condo Culture’s Guide on why you should consider Hamilton as a great place to live, work and play. The real estate market in Hamilton is one of the hottest in Canada. Known as Steeltown, due to its deep roots in the steel manufacturing industry, Hamilton is growing into a thriving community of artists and creatives, looking to reshape the culture and fabric of the city. Tired areas of the city are being gentrified with new condo developments, restaurants, art galleries and cultural attractions. Hamilton is also home to several post-secondary institutions that have created numerous direct and indirect jobs in education and research. McMaster University moved to the city in 1930 and today has around 30,000 enrolled students. Hamilton’s economy is diverse and so are the places to work. From manufacturing, healthcare, to education and the arts, there is something for everyone. Some of the top employers in the area are the McMaster Innovation Park, City of Hamilton, the Universities, Hamilton Health & Science, Tim Hortons Children’s Foundation and Stelco, among many more. Located strategically near Guelph, Burlington and Toronto, many other work opportunities wait just outside city limits and many Hamilton locals drive the short distance to find jobs in their ideal industries. Hamilton is a mecca of cultural and entertainment locations. From the growing arts community, to the thriving food and drink scene in the downtown core to the performance venues, there is no shortage of things to do. Grab a friend and start your evening on James Street. Grab a drink at Merit Brewing - one of Hamilton’s handful of craft breweries, and then take a quick walk to Nique where you can enjoy sushi tacos or a delicious crispy chicken sandwich. End the night with a brisk walk through the downtown core and take in the art murals, creative signage and maybe even step inside the Art Gallery of Hamilton. Make sure to snap a few pictures and share them on social media with the hashtag #HamOnt. Hamilton is known for its grassroots arts scene and tight knit community, and this is evident in the Art Crawl, the Super Crawl, the Locke St. Festival and other concerts and events held around town throughout the year. There is always something fun to be a part of. Don’t worry, we haven’t forgotten about sports lovers. Hamilton is proud to be known as Home of the Ticats (catch their games at the Tim Hortons Field!) and the Bulldogs. On the radar of many Toronto/GTA homeowners. Hamilton is the hottest housing market in Canada in regards to escalating real estate prices. Over the past decade the migration of Torontonians or residents of the GTA has grown exponentially due to obvious reasons such as affordability but also easy access to Toronto via improved transit system causing real estate prices to rise. A phenomenon that looks to continue into the foreseeable future. Revitalization of a former powerhouse city. Hamilton is no longer just a Steel Town, but rather a hub with ongoing city investments in the core. The downtown core has seen major growth in the art department after several grassroot art galleries have opened up, attracting tourists and locals to experience art. Coupled with the thriving food & drink scene, the downtown core is a revitalized location. Waterfront development. The ongoing change and revitalization of the city core is looking to spread to the its extremities, as Pier 4 and Pier 8 are under proposed planning. This creates an opportunity for investors to buy in front of a major catalyst for higher real estate prices. You can do it all in Hamilton. Did you know that Hamilton was named the Waterfall Capital Of The World? Or that is has a World Class restaurant scene? From art crawls to super crawls, to a thriving arts core, Hamilton is a community known for its passion and zest, that has something to offer for everyone. And who wouldn’t want to call a place like that home?